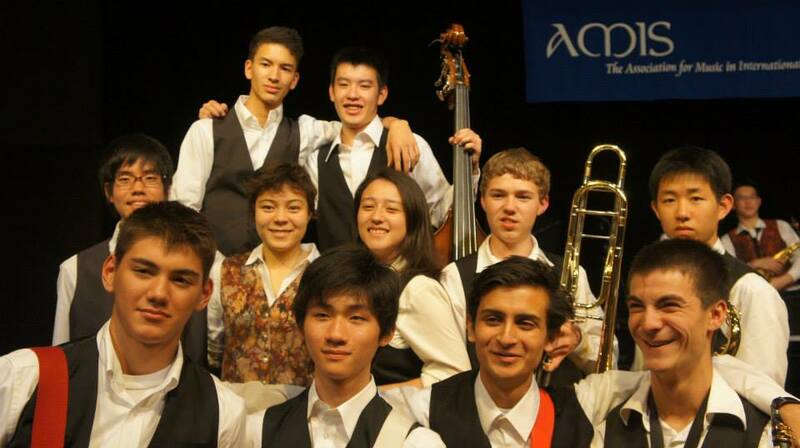 During the first week of October eleven talented ASIJ Jazz Band students traveled with Randy Wanless to the AMIS HS Jazz Festival, hosted this year by Zurich International School. The 28 members of the band, chosen through blind auditions, represented twelve schools. Below you can watch the AMIS Combo I’s performance of their own arrangement of Seven Steps to Heaven. The performers are Aman, Yuri, John, and Ryo from ASIJ, with our friend Jay from Bucharest. ASIJ is the 2013 Kanto Plain Football Champion!